We’re going FULLY FUNCTIONAL this November at The Journal of Australian Ceramics, and we want to PUBLISH your images in our Ceramic Shots Photo Competition. Who knows you might land yourself on the cover! Show us your images of your FULLY FUNCTIONAL ceramics by 25 September 2017 to be published and win great prizes! THE PRIZE: publication of your image (full page) in Issue 56/3 of The Journal of Australian Ceramics (JAC) AND products to the value of $200 from our online shop OR membership of The Australian Ceramics Association to the value of $200. The choice will be yours. The submitted photo must have been taken in the last 12 months. A selection of the best images will be featured in Issue 56/3 of The Journal of Australian Ceramics (JAC) to be published on 20 November 2017. 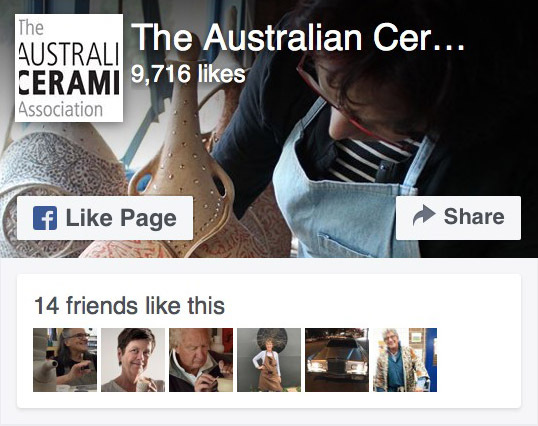 By entering the competition, you give The Australian Ceramics Association (TACA) license to publish the photograph in The JAC (print & digital) and on our website, www.australianceramics.com and TACA’s Facebook and Instagram page. Email your photo submission to australianceramics@gmail.com with the subject heading CERAMIC SHOTS: FULLY FUNCTIONAL. The photo submission must be accompanied by the following information in the body of the email: photographer’s name, potter’s name, date of the photo, location, your postal address and phone number.